Good news for CMS Blogger users, especially those using their own commercial domain (custom domain). Recently, bloggers released a new feature devoted to those who use custom domain blogger. Yep! Now for those of you who use a custom domain, can already use free HTTPS / SSL from blogger. So later your blog will become https://www.blogname.com. 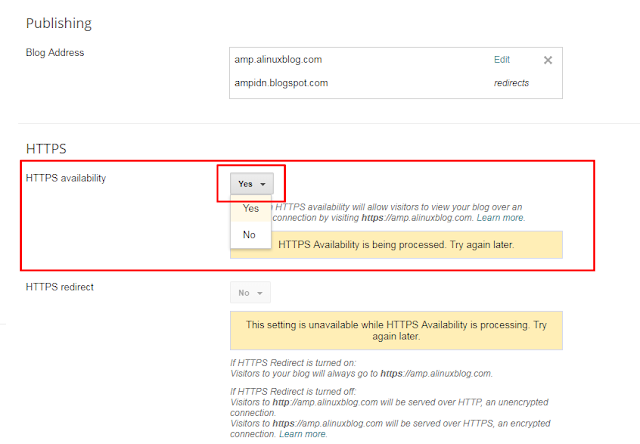 Help check that blog visitors open the correct site and not redirected to malicious sites. Helps detect if an attacker tries to change data sent by Blogger to visitors. Added security measures that make it harder for others to track activity or steal blog visitors' information. Improve AdSense earnings due to larger CPCs on HTTPS pages. 1. Please access your blogger dashboard by using the address: draft.blogger.comthen click menu settings -> basic. 2. In the HTTPS availability option, please select the YES option. In the HTTPS redirect, select the YES option too. 3. Then the page will refresh automatically. Wait for a few minutes. 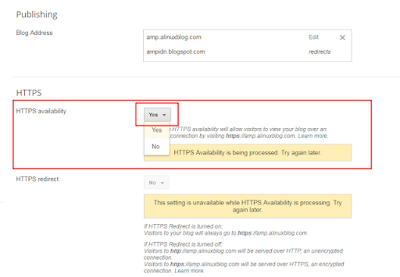 Because Blogger needs to verify to enable https redirect on your blog. So what next to do if HTTPS is active? 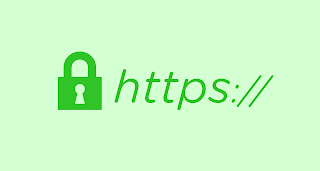 Make sure your HTML template source uses https. That is, you need to replace all HTML source sourced from web HTTP:// be https://. This is useful for HTTPS in your custom domain, not error.